Genetically modified organisms (GMOs) in food products are also known as genetically modified (GM) or genetically engineered (GE) foods. A genetically modified organism is an organism, the genotype of which was changed with the help of genetic engineering that appeared in the 1970s. Genetic material is transpositioned from one organism to another. GMOs reached the level of commercial consumption in the 1990s and are becaming incresingly popular every year. 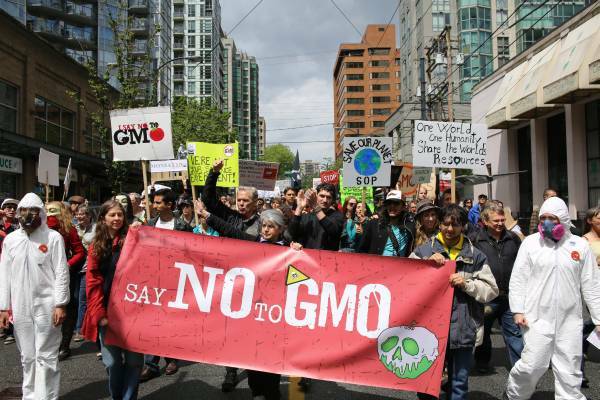 International Day of Action against Genetically Modified Organisms is an opportunity to remind to society about harmful impact of GMOs, in spite of continuing discussion of scientists and doctors and absence of unified expert position regarding impact of GMOs. GMOs have been partially banned in 13 countries.